Clean CARFAX. Passed Dealer Safety Inspection, Recent Oil Change. Certified.2015 Honda Fit EX FWD 32/38 City/Highway MPGOdometer is 20176 miles below market average!Awards:* 2015 KBB.com 10 Tech-Savviest Cars Under $20,000 * 2015 KBB.com 10 Most Affordable Cars * 2015 KBB.com Best Resale Value Awards * 2015 KBB.com Our 10 Favorite New-for-2015 Cars * 2015 KBB.com Brand Image Awards2016 Kelley Blue Book Brand Image Awards are based on the Brand Watch(tm) study from Kelley Blue Book Market Intelligence. Award calculated among non-luxury shoppers. For more information, visit www.kbb.com. Kelley Blue Book is a registered trademark of Kelley Blue Book Co., Inc.
CARFAX One-Owner. Clean CARFAX. Passed Dealer Safety Inspection, Recent Oil Change. Certified.2015 Honda Fit EX FWD 32/38 City/Highway MPGAwards:* 2015 KBB.com 10 Most Affordable Cars * 2015 KBB.com Our 10 Favorite New-for-2015 Cars * 2015 KBB.com Best Resale Value Awards * 2015 KBB.com 10 Tech-Savviest Cars Under $20,000 * 2015 KBB.com Brand Image Awards2016 Kelley Blue Book Brand Image Awards are based on the Brand Watch(tm) study from Kelley Blue Book Market Intelligence. Award calculated among non-luxury shoppers. For more information, visit www.kbb.com. Kelley Blue Book is a registered trademark of Kelley Blue Book Co., Inc.
Wilde East Towne Honda Spring Sales Event! 2016 Honda Fit LX Certified. Bluetooth, Backup Camera, USB/AUX Input, CD Player, Top Rated In Class, Amazing Gas Mileage, ***Honda Certification Includes a 100,000 Mile Warranty***, Air Conditioning, AM/FM/CD Audio System, Remote keyless entry. CARFAX One-Owner. Honda Certified Pre-Owned Details: * 182 Point Inspection * Roadside Assistance with Honda Care purchase * Powertrain Limited Warranty: 84 Month/100,000 Mile (whichever comes first) from original in-service date * Transferable Warranty * Vehicle History * Limited Warranty: 12 Month/12,000 Mile (whichever comes first) after new car warranty expires or from certified purchase date * Warranty Deductible: $0 33/41 City/Highway MPG Awards: * JD Power Vehicle Dependability Study * ALG Residual Value Awards * 2016 KBB.com Best Resale Value Awards Subcompact Car * 2016 KBB.com Brand Image Awards 2016 Kelley Blue Book Brand Image Awards are based on the Brand Watch(tm) study from Kelley Blue Book Market Intelligence. Award calculated among non-luxury shoppers. For more information, visit www.kbb.com. Kelley Blue Book is a registered trademark of Kelley Blue Book Co., Inc. Reviews: * Unmatched small car versatility thanks to unique rear seat design; high fuel economy; spacious seating and cargo area; excellent visibility. 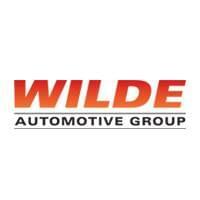 Source: Edmunds Stop out to Wilde East Towne Honda to experience a higher level of customer service. Exceptional care that has helped us earn Honda&#39;s highest level of achievement, the Honda President’s Award. We have won this honor each year since opening. Our customer&#39;s survey and reviews helped us be recognized as the Wisconsin DealerRater.com Dealer of the Year. Also achieved consistently since 2014! Our family friendly staff look forward to serving all your automotive needs. You&#39;ll appreciate the fair prices and great service. Your family will love free popcorn at the Power Bar and finding the Star Fish in the huge aquarium. Located on Madison’s East Side, we are just 2 miles South of Sun Prairie off Hwy 151/90/94. Some vehicles may be subject to manufacturer safety recalls that, for various reasons, may not be repaired prior to sale. You may also check for open recalls at www.safercar.gov. CARFAX One-Owner. Passed Dealer Safety Inspection, Recent Oil Change. Certified.2015 Honda Fit EX FWD 32/38 City/Highway MPGAwards:* 2015 KBB.com Best Resale Value Awards * 2015 KBB.com 10 Most Affordable Cars * 2015 KBB.com Our 10 Favorite New-for-2015 Cars * 2015 KBB.com 10 Tech-Savviest Cars Under $20,000 * 2015 KBB.com Brand Image Awards2016 Kelley Blue Book Brand Image Awards are based on the Brand Watch(tm) study from Kelley Blue Book Market Intelligence. Award calculated among non-luxury shoppers. For more information, visit www.kbb.com. Kelley Blue Book is a registered trademark of Kelley Blue Book Co., Inc.
Wilde East Towne Honda Spring Sales Event! 2016 Honda Civic LX Certified. Priced below KBB Fair Purchase Price! Clean CARFAX. Bluetooth, Backup Camera, USB/AUX Input, CD Player, Power Windows & Locks, Top Rated In Class, Amazing Gas Mileage, Alloy Wheels, ***Honda Certification Includes a 100,000 Mile Warranty***, Black/Ivory Cloth, Air Conditioning, Remote keyless entry. CARFAX One-Owner. Honda Certified Pre-Owned Details: * Powertrain Limited Warranty: 84 Month/100,000 Mile (whichever comes first) from original in-service date * Vehicle History * Roadside Assistance with Honda Care purchase * Warranty Deductible: $0 * 182 Point Inspection * Limited Warranty: 12 Month/12,000 Mile (whichever comes first) after new car warranty expires or from certified purchase date * Transferable Warranty 31/41 City/Highway MPG Awards: * 2016 IIHS Top Safety Pick+ (When equipped with honda sensing) * NACTOY 2016 North American Car of the Year * 2016 KBB.com Brand Image Awards 2016 Kelley Blue Book Brand Image Awards are based on the Brand Watch(tm) study from Kelley Blue Book Market Intelligence. Award calculated among non-luxury shoppers. For more information, visit www.kbb.com. Kelley Blue Book is a registered trademark of Kelley Blue Book Co., Inc. Stop out to Wilde East Towne Honda to experience a higher level of customer service. Exceptional care that has helped us earn Honda&#39;s highest level of achievement, the Honda President’s Award. We have won this honor each year since opening. Our customer&#39;s survey and reviews helped us be recognized as the Wisconsin DealerRater.com Dealer of the Year. Also achieved consistently since 2014! Our family friendly staff look forward to serving all your automotive needs. You&#39;ll appreciate the fair prices and great service. Your family will love free popcorn at the Power Bar and finding the Star Fish in the huge aquarium. Located on Madison’s East Side, we are just 2 miles South of Sun Prairie off Hwy 151/90/94. Some vehicles may be subject to manufacturer safety recalls that, for various reasons, may not be repaired prior to sale. You may also check for open recalls at www.safercar.gov. CARFAX One-Owner. Priced below KBB Fair Purchase Price! Passed Dealer Safety Inspection, Recent Oil Change. Certified.2016 Honda Civic LX FWD 31/41 City/Highway MPGAwards:* 2016 IIHS Top Safety Pick+ (When equipped with honda sensing) * NACTOY 2016 North American Car of the Year * 2016 KBB.com Brand Image Awards2016 Kelley Blue Book Brand Image Awards are based on the Brand Watch(tm) study from Kelley Blue Book Market Intelligence. Award calculated among non-luxury shoppers. For more information, visit www.kbb.com. Kelley Blue Book is a registered trademark of Kelley Blue Book Co., Inc.
Wilde East Towne Honda Spring Sales Event! 2016 Honda Civic LX Certified. Clean CARFAX. Black/Gray Cloth. CARFAX One-Owner. Honda Certified Pre-Owned Details: * 182 Point Inspection * Warranty Deductible: $0 * Vehicle History * Roadside Assistance with Honda Care purchase * Limited Warranty: 12 Month/12,000 Mile (whichever comes first) after new car warranty expires or from certified purchase date * Transferable Warranty * Powertrain Limited Warranty: 84 Month/100,000 Mile (whichever comes first) from original in-service date 27/40 City/Highway MPG Awards: * 2016 IIHS Top Safety Pick+ (When equipped with honda sensing) * NACTOY 2016 North American Car of the Year * 2016 KBB.com Brand Image Awards 2016 Kelley Blue Book Brand Image Awards are based on the Brand Watch(tm) study from Kelley Blue Book Market Intelligence. Award calculated among non-luxury shoppers. For more information, visit www.kbb.com. Kelley Blue Book is a registered trademark of Kelley Blue Book Co., Inc. Stop out to Wilde East Towne Honda to experience a higher level of customer service. Exceptional care that has helped us earn Honda&#39;s highest level of achievement, the Honda President’s Award. We have won this honor each year since opening. Our customer&#39;s survey and reviews helped us be recognized as the Wisconsin DealerRater.com Dealer of the Year. Also achieved consistently since 2014! Our family friendly staff look forward to serving all your automotive needs. You&#39;ll appreciate the fair prices and great service. Your family will love free popcorn at the Power Bar and finding the Star Fish in the huge aquarium. Located on Madison’s East Side, we are just 2 miles South of Sun Prairie off Hwy 151/90/94. Some vehicles may be subject to manufacturer safety recalls that, for various reasons, may not be repaired prior to sale. You may also check for open recalls at www.safercar.gov.